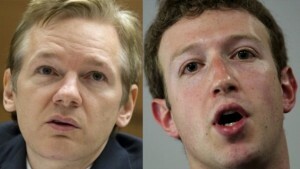 Facebook And WikiLeaks In The Same Category? Today Fox News ran an article titled, Which Is Worse, WikiLeaks or Facebook? It presented the idea that both can be a threat to privacy, legally or otherwise. I won’t get into the merits of either side of the argument, even if I could – there are so many facets to the multiple and complex issues. But the question highlights the absolute power of the internet to support amazing and powerful functionality, as well as the darker side of the potential for, and consequences of misuse of that information.